I work with hard to sell and luxury listings. 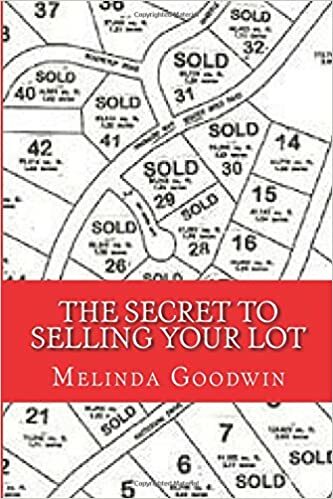 Let me be the first to tell you that when you are a listing agent for these particular homes you cannot just place a sign on the front yard, put cell phone pictures in the MLS and sit back and wait for other agents to sell your home. Working with the high end and hard to sell listings requires some unique marketing as well as some out of the box collaboration, which is exactly why I use focus groups. Focus groups help me with problem solving and idea generation in which I can make my marketing plan or program for that home. Most marketing focus groups are combined of 4-15 people who have a general interest or knowledge of the product or the items being sold or marketed. In the real estate business, when I refer to my product, I am referring to my listing. My focus groups are a combination of myself (the Realtor), a title professional, a loan officer (Mortgage Broker), a community member (especially if in an HOA), if I can get one a HOA committee member, and at times another marketing professional. I want to add that I have several focus group meetings mostly determined by sales price, product issues, or location. I have a lunch meeting where I cater or have a brown bag lunch provided. I prepare my pictures of the home and the comparables for each attendee. I then offer some print product ideas, social media marketing ideas, and some email campaign ideas. I have my title professional provide a radius of 0.25 miles of homes names, addresses and phone numbers (if available) surrounding the home. I have my mortgage broker put together some loan packages and products for the promotion of the property. The HOA committee member and community member are there to provide feedback about the neighborhood, future expansion, and ideas for target marketing. Let’s say I have a $1.5M listing in a gated community that is well known in the desert of Utah. We use the addresses and names of the people the title professional brings to the meeting to do some research on the neighborhood. It is a well know fact that likeness attracts likeness and we all gather to people we have things in common with. After doing some social media research and some online discovery we realize that a majority of the individuals that live within the 0.25 mile radius are art collectors, muscle car collectors, hikers, ATV riders ect.. This will guide us to where we will place most of our social media marketing. We can also determine the professions of these individuals as well as if there is a community pattern to the professional clumping. This also makes our target marketing easier. Let’s just say if there is a 68% retired engineers in that particular area, chances are, when we do our marketing those ads will go to people the community already knows. Making the sale that much easier. Ok, so now we know the community loves art, cars, hikes, and the outdoors. The community is largely made up of engineers both retired and working. We will now target those particular items in our marketing, but we can write our print with specifics that are familiar with those personalities. For instance engineers are primarily numbers people, they like statistics and facts. This information is also great for the mortgage broker as they can redirect their marketing and the written language to reflect the statistics and facts that best suit the potential buyer. talk at the country club. The community member can be a great word of mouth assistant in helping you market your new listing. It’s time we consider that our listings are not just a house for sale, they are our product and we have a responsibility to market that product. Who knows you might just double side the deal. Now wouldn’t that be grand? Published Author TV Writer/Producer/Host Restaurant Critic/Video Blogger Inman News Contributor Key Note Speaker on Realestate, Customer Service, and Promoting Women in Business. Attention real estate agents! As a real estate agent you are in sales! In my opinion, the #1 . . .